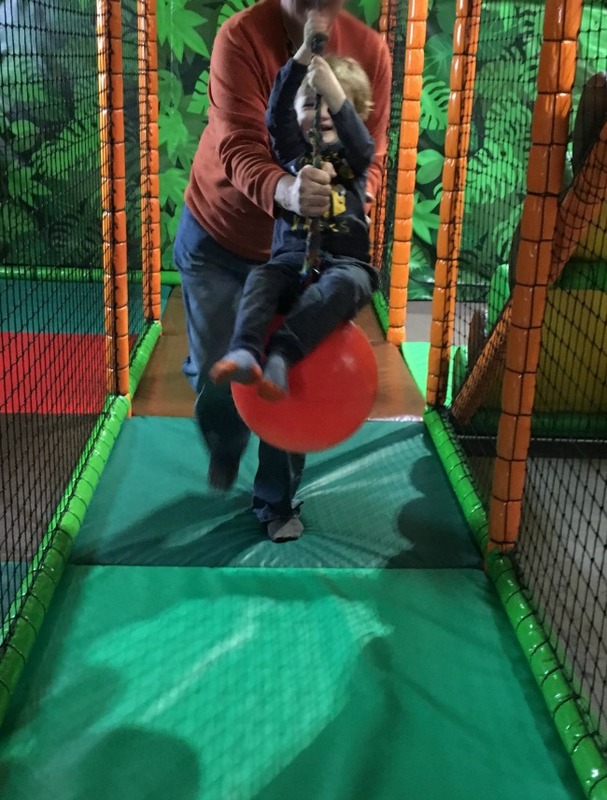 We started the week at soft play, Bear just loves it and we do too. He has so much energy and can run wild without fear of getting hurt. 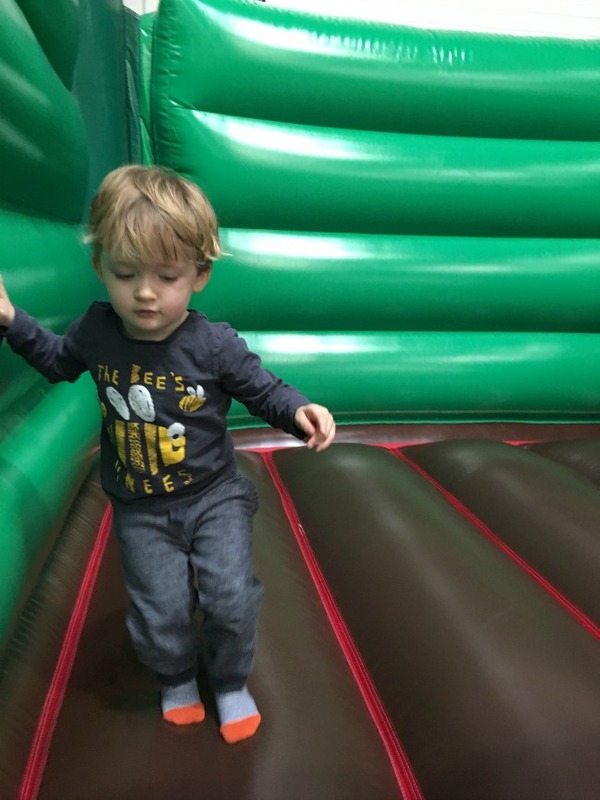 He wouldn't even step on the bouncy castle last time but this time he had a go holding on, then let go and bounced in the middle. Brave boy! We had a few dry and sunny spells along the way and made the best of it by getting out. 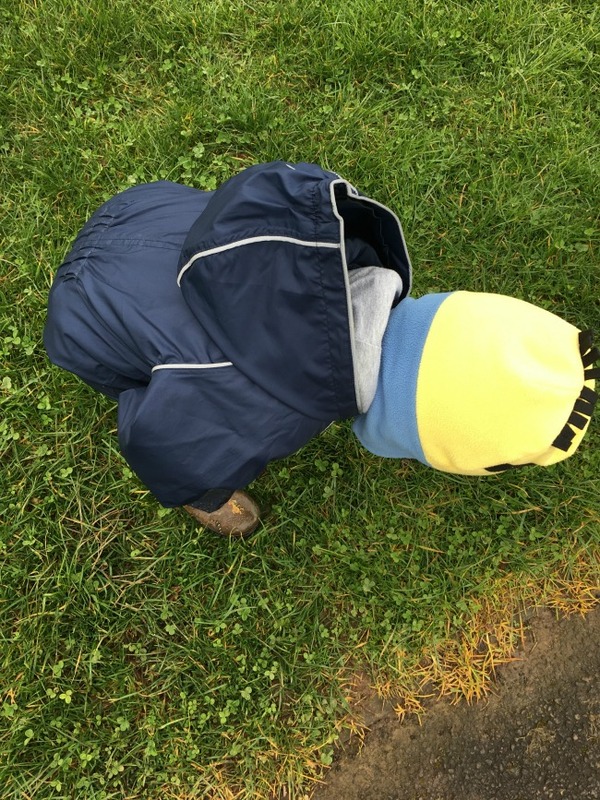 We played football in the park and watched worms wriggle. 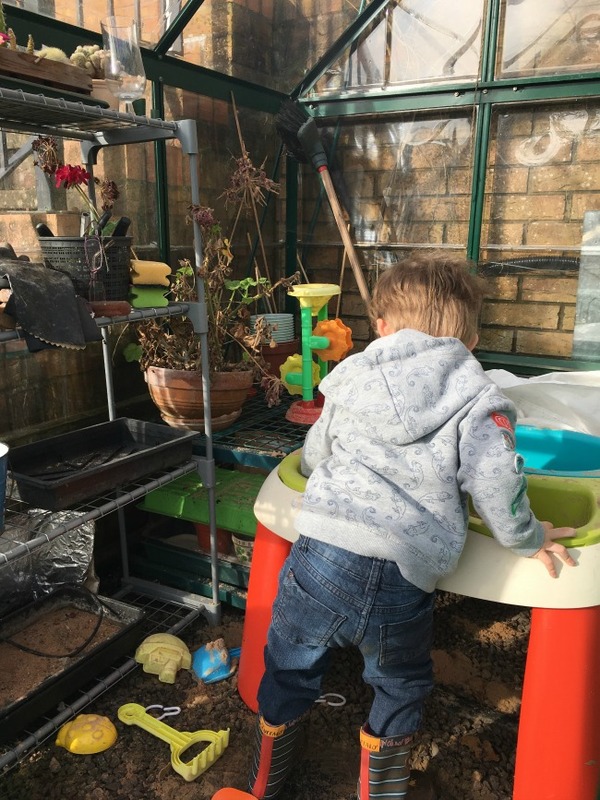 On Wednesday the sun shone so I sat in the garden while Bear played in the sand pit in the green house. 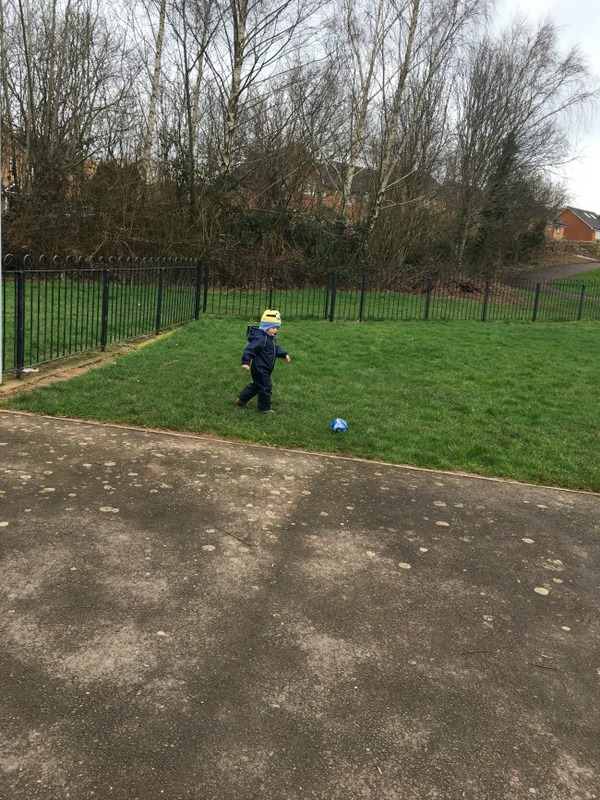 Playing football like a pro! 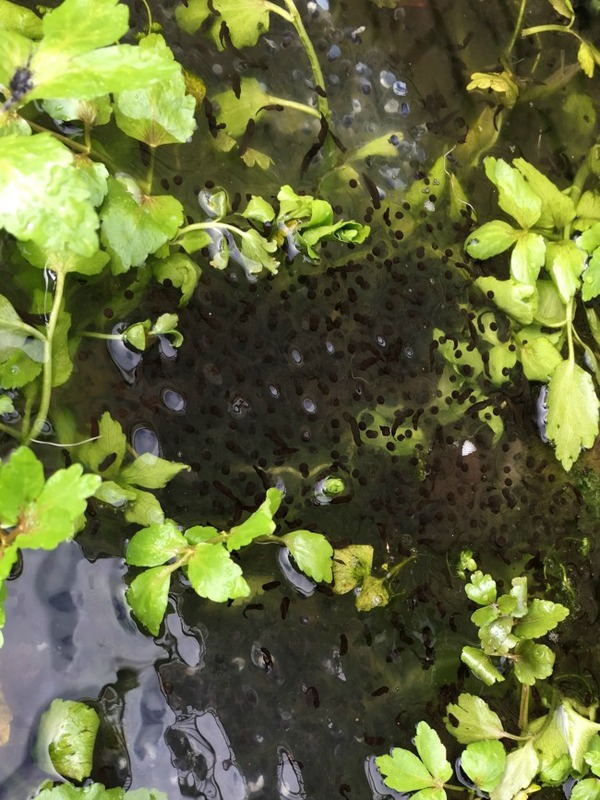 The frog spawn are changing shape, little wiggly lines. Bear is just growing so quickly. Two year olds imagination and knowledge astounds me. 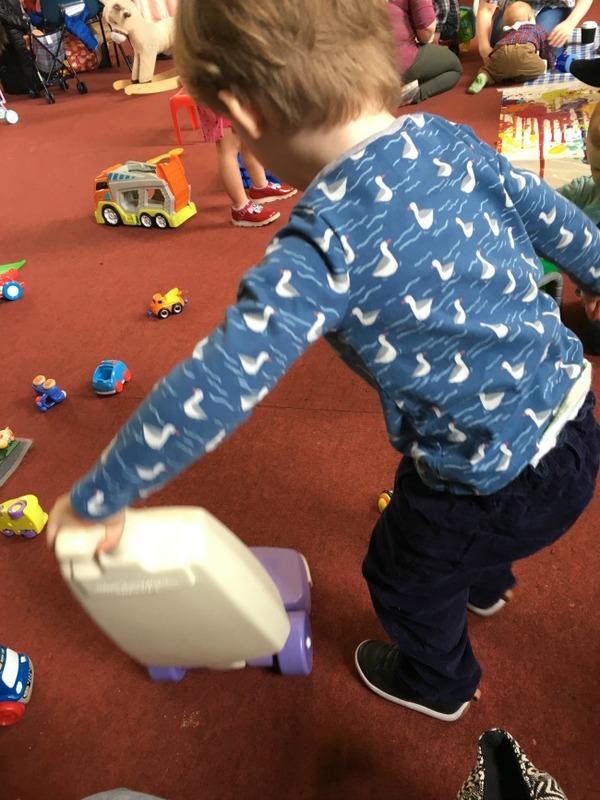 He made some crumbs on the floor at Tots and ran to get the sweeper. Back and forth he went to no avail. "It's pretend" I said, expecting a fuss but he just dropped it shrugged and went to play. 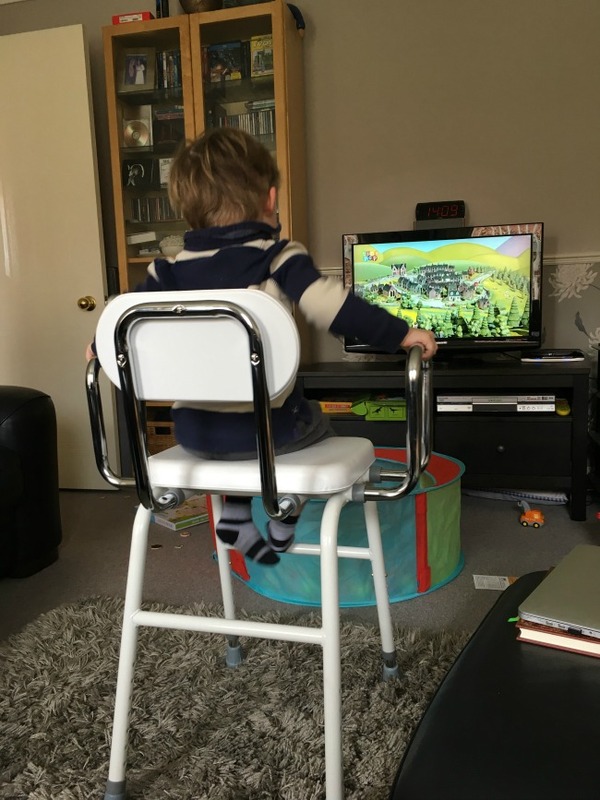 Grandad had a new adjustable chair ready for when he has his hip replacement. Bear has already claimed it for his own. 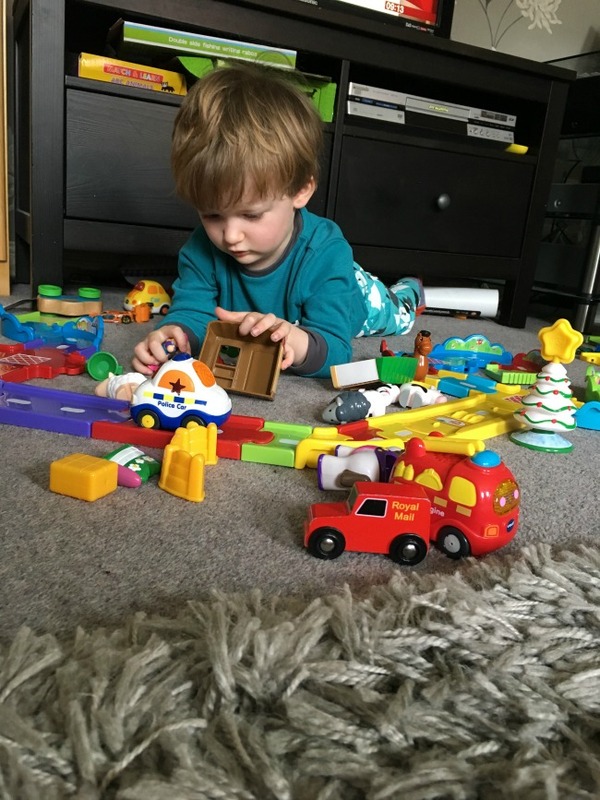 Bear started by playing with cars in his garage and having traffic jams. Then he parked them all up in his car park, then he got his farm animals and made a farm in the middle. Suddenly there was a fire! All the emergency vehicles rushed to the scene. No worries, it's all in a mornings play. Bear has a wicked sense of humour. 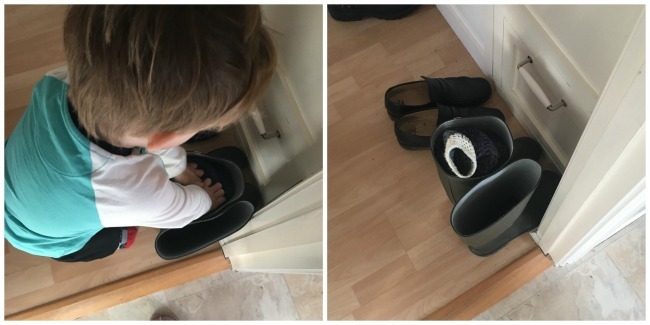 He took his jumper off and ran into the hallway and stuffed it into grandads wellies, he laughed, he knew it was a trick. We've had a great week, the sunshine has really helped. Have you had a good week? Awwww his happy little face at the top at the soft play, pure glee :D So many tadpoles too!! !